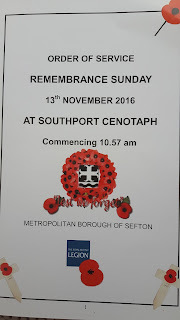 This year's act of remembrance at Southport Cenotaph was amongst the best attended that I can recall. There was a period when the numbers appeared to be in decline. This year we saw many more families and young people. 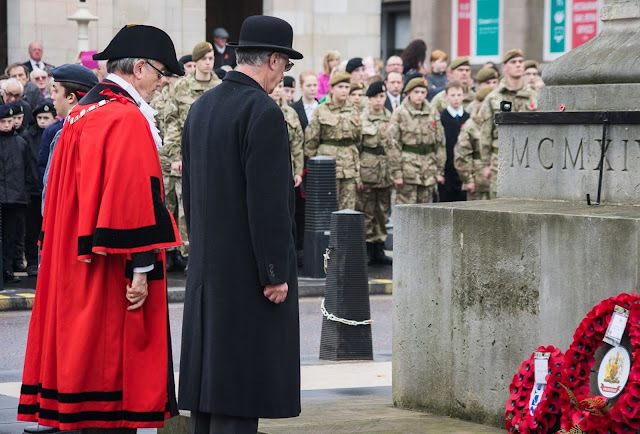 Some of this is down to the 100th anniversary of the Battle of the Somme but more, I think, is because of service personnel returning from Afghanistan and Iraq. 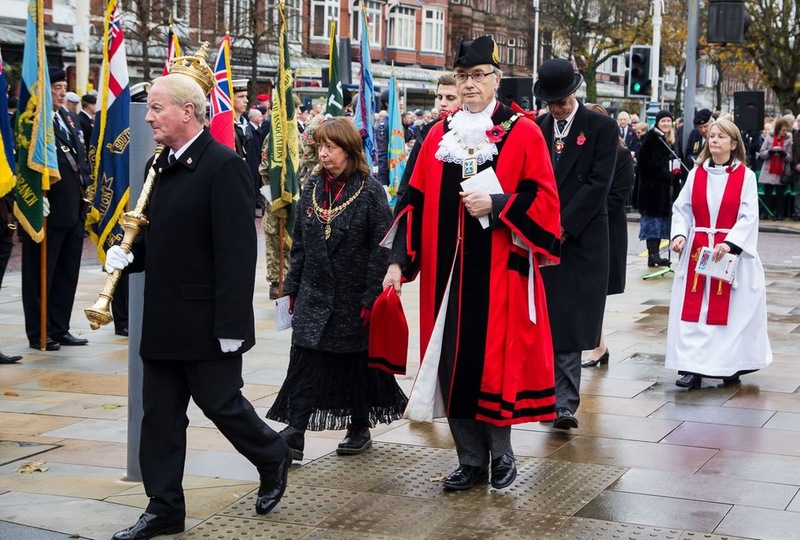 The civic party assembled at the Town Hall and walked along Lord St to the Cenotaph. The pavement were lined with people and the square was several people deep on all sides. 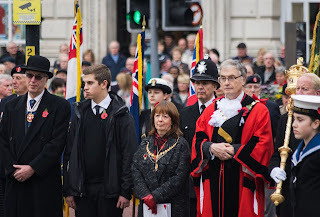 The was a short service at the Cenotaph led by Rev Jane Morgan including the silence and then the wreaths were laid. 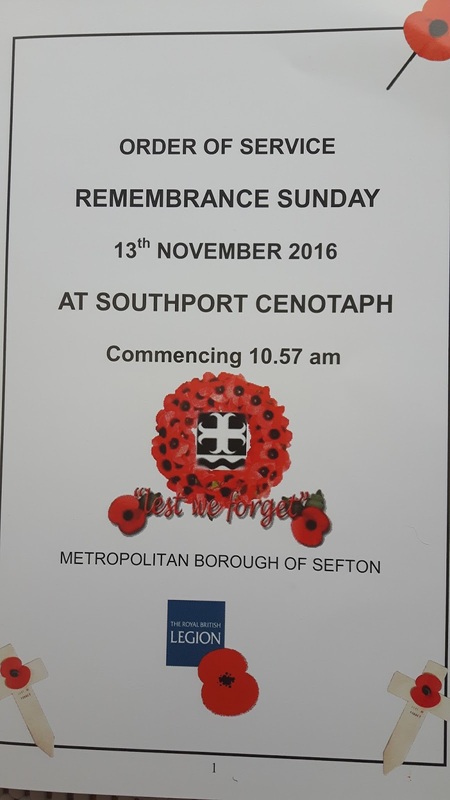 There were, of course, the official one but what strike everyone who comes to Southport is just how many individuals come to lay wreaths in acts of personal remembrance. 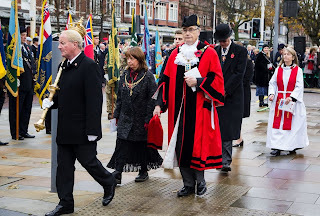 The hymns were sung including Abide with me-this time only two verses not the seven verses we discovered at the rededication at the Bootle War Memorial -and then we returned to the hospitality of Christchurch who had laid on tea and coffee. 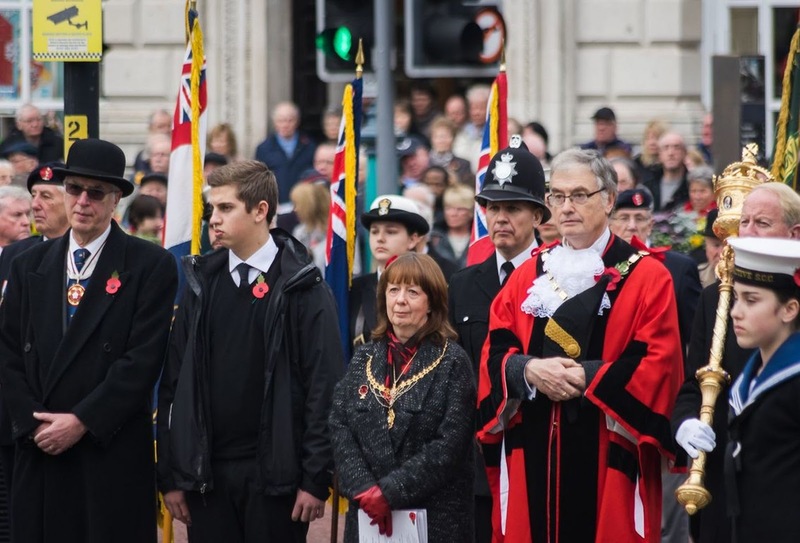 The British Legion do an excellent job of organising this event and other events during the year.